Bangs are a popular choice among many women because they are a stylish detail that helps hide many imperfections, adjust the shape of the face and give you a unique image of yourselves. If bangs are a part from your look I know you have been enjoying them for quite some time, but there are times when you really hate them especially when you are about to attend a more formal event and you don’t have a clue what to do with them. Formal events require up-does and bangs fit in here as well, you just have to find the perfect way that works for you. 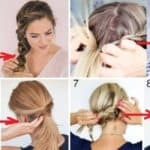 In this article I’m going to show you How To Style Up-Do Hairstyles With Bangs In Some Splendid Ways, so scroll down and don’t miss the ideas. The styling of your bangs will mostly depend on their length and your hairdresser will advise you which is the best option for you, so make sure you make a decision together if you want to look super polished! Keep your hair up while you keep your bangs as they are if you want to look a lot like yourselves. Don’t put the bangs up and don’t leave them out of the picture cause up-does can look pretty fabulous with them too! 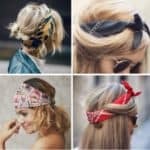 There are lots of hair accessories that you can use to add an accent to your bangs, so you may consider getting some and adding a romantic flair to your hair. 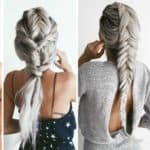 What do you say about a crown braid which incorporates parts of your bangs? It’s a nice way to style your bangs for your wedding day or any other event that you are about to attend in the near future. The side-swept look of the bangs is one of the most popular looks ever! Many celebrities prefer this styling. 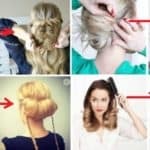 You can do it both on straight and curly hair, and in either ways you are going to look really flattering! Have you tried it so far? 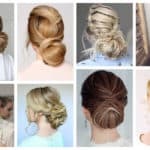 Bangs shouldn’t be an obstacle to any hairstyle, so choose any up-do hairstyle and you will look super elegant and sophisticated with your bangs in the picture too. I hope that we have inspired you for your next hairstyle and that you won’t have difficulties styling your bangs the next time you are about to attend a more formal occasion.